Is it not bad enough that we buy our dogs designer clothing, jeweled collars, and gourmet meals? 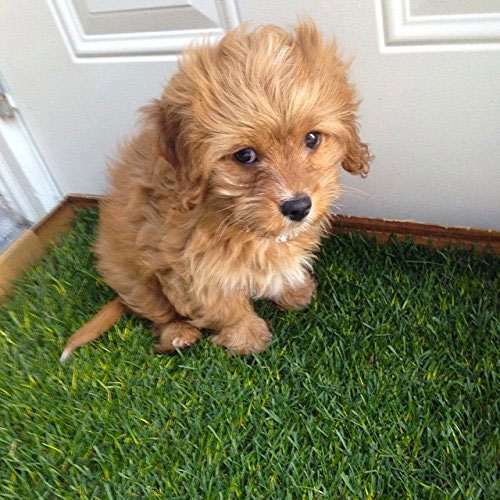 Now we're indulging them with real grass as we train them not to pee in our shoes? Well...yes and no. 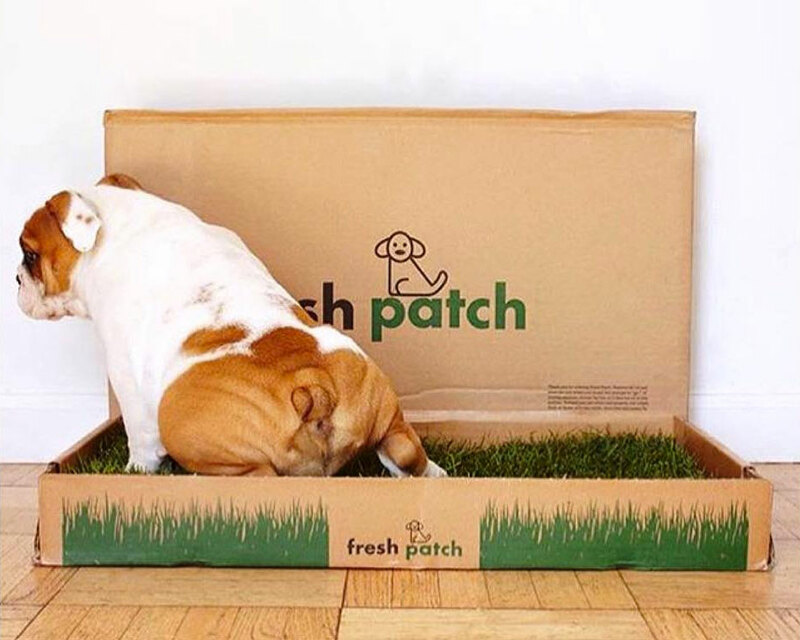 Fresh Patch is indeed a slab of authentic, living grass, which the company says dogs instinctively prefer to pee on*. But it's not an indulgence for them so much as it is a handy tool that makes teaching them to pee here, not there easier for you. And your carpets. For people who live in ultra-urban areas (or who experience nasty winters) Fresh Patch also ensures your dog will always have somewhere to pee that doesn't require your goading him, begging him, or threatening to take his dinner away when he refuses to whizz on a tree grate or in 11 inches of snow. 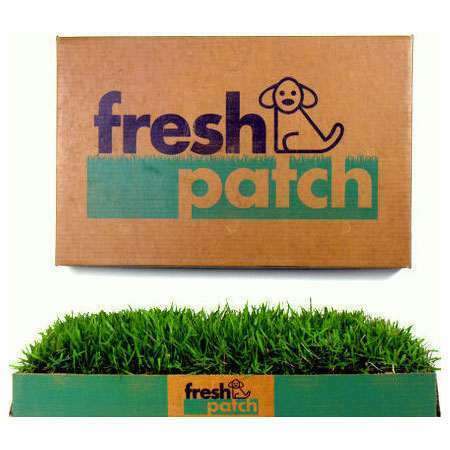 Fresh Patches are hydroponically grown so they're dirt-free in the home. And in addition to attracting dogs who gotta go, the organic nature of the grass means that it will absorb liquids and odors without acquiring a post-pee smell. Fresh Patches are available, and most often sold, via the company's regular delivery service. Subscribers can choose to receive a fresh Fresh Patch every 1 to 4 weeks; old units are fully disposable. Fresh Patch creator Andrew Feld became another Shark Tank darling in early 2015 when he scored a $150,00 investment from Mark Cuban and Barbara Corcoran. He now sells the indoor pet potties nationwide in sizes Standard for pets weighing less than 25 pounds (16" x 24" patch) and XL for those over 25 pounds (2' x 4'). *Except the a-holes. They still prefer your shoes.